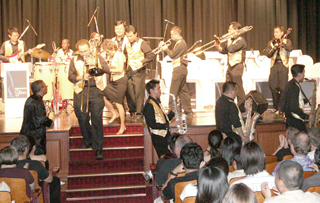 Thomson Big Band played to a full house at their annual concert at the elegant Jubilee Hall, Raffles Hotel. 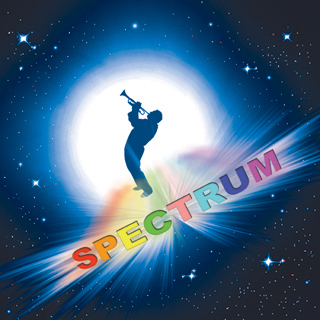 The band delivered big band arrangements of funk, gospel, latin, rock as well as mainstream jazz tunes with an exciting sense of freshness. There were beautifully crafted solos from all the sections. Mario Serio, true to form, thrilled the audience with his playing particularly with the Chick Corea composition "Got A Match". Resident singer Bill Ladick's rendition of the Brian Setzer hit "Hoodoo Voodoo Doll" gave him the perfect opportunity to mingle with the audience. The minute guest Musical Director Christy Smith stepped onto the stage, it was obvious that here was a man whose passion was performing. His energy was so infectious that after the last song which ended with all the musicians doing a mambo in the aisles, the entire audience jumped to their feet for a rousing standing ovation. Thomson Big Band seems to have turned a corner with this benchmark performance and we look forward to what they have to offer in the coming year.